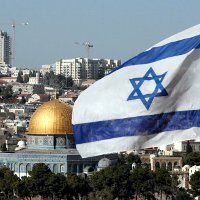 The Muslim World and, of course, their Liberal and Progressive allies inside of America are gnashing their teeth and making apocalyptic threats over the possibility that President Trump might recognize Jerusalem as the capital of Israel and move our embassy there from Tel Aviv. Similarly, certain European governments with ongoing domestic Muslim problems are expressing concern over the possibility. Funny thing though, the US government has formally recognized Jerusalem as the capital of Israel since November 8, 1995. Jerusalem Embassy Act of 1995 enacted just over 22 years ago by the 104th Congress and signed into law by President Clinton. Right in the act it states that Jerusalem is the capitol of the State of Israel. This entry was posted on Wednesday, December 6th, 2017 at 5:23 am and is filed under Politics. You can leave a response, or trackback from your own site.